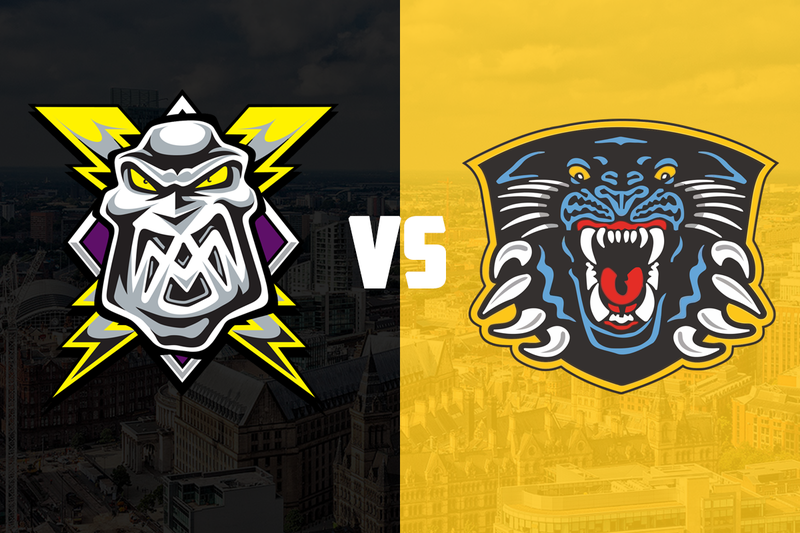 TICKETS: The Go Goodwin’s Manchester Storm welcome the Nottingham Panthers on Saturday the 25th November here at Planet Ice Altrincham! Tickets can be ordered online, by calling the box office on 0161 926 8782, or in person at the box office. t’s a one-game weekend for your Go Goodwins sponsored Manchester Storm as the Nottingham Panthers travel to the Storm Shelter this Saturday 25th November, in a 7:00 pm face off. Challenge Cup Qualification: It’s the final Challenge Cup game of the season for the Manchester Storm, as the Storm can no longer qualify for the next stage of the competition. The Panthers require a victory to take the fourth seed for the next round, which sees a new pick your opponent system introduced for the first time. Previous Meeting: This is the second meeting of the season between the sides, the first coming in late September at the Motorpoint Arena, which was also a Challenge cup encounter. It was a tight game in Nottingham, that eventually ended 3-2 in favor of the Panthers. Dan Spang got the scoring underway in the first before Matt Beca evened things up. Nottingham pushed ahead through second-period goals from Evan Mosey and Yann Sauve, before Dane Byers got a late powerplay goal for the Storm who had pulled the netminder. It was a big performance from Mike Clemente in the Storm net, who turned away 37 of the 40 shots from the Panthers for a 92.5% save percentage. Mike Garnett started in nets for Nottingham, making 29 saves from 31 shots, a save percentage of 93.5%. Special Teams: Special teams are always important, and this game sees the 3rd best Powerplay in the league face the 3rd best penalty kill in the league. Manchester’s 16 powerplay goals from 63 opportunities during league games sees them sit in 3rd position with a 25.4% success ratio. Nottingham have successfully stopped 50 penalty kill opportunities, 81.97% of the powerplays they have faced. 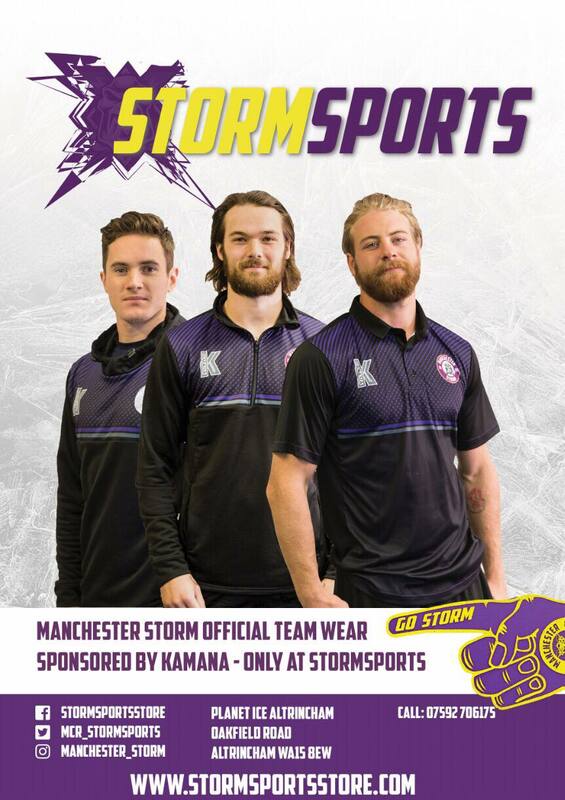 Personnel boost for the Storm: The Storm have bought in Lee Bonner and Andy McKinney for this game on a short-term basis. 20-yr old Bonner, who plays for the Hull Pirates in the NIHL, is a former GB U-20 international forward with an eye for goal. He has 8 goals and 7 assists in 7 games for Hull this season. McKinney, who was born in Ontario but counts as a British player in the EIHL as he spent his junior career playing in Britain, left conference rivals Guildford due to personal reasons earlier this season and has joined on a trial basis. One to watch: Top point-scoring for the Panthers this season is Brett Perlini. The Ontario-born forward played some of his Junior career in Guildford before a successful stint in North America in the NCAA College league and the ECHL before joining the Panthers. 10 goals and 12 assists from 23 domestic games highlights the good start to the season he is having. Join the team on the ice for our FREE Skate with the Storm (skate hire inc with game ticket) post game! Storm add 2 players for Saturdays game!